The TAZ Fan can reduce your cooling bills. Each TAZ Fan can replace 4 panel fans or can replace up to 8 basket fans (36 in) while using half the power. 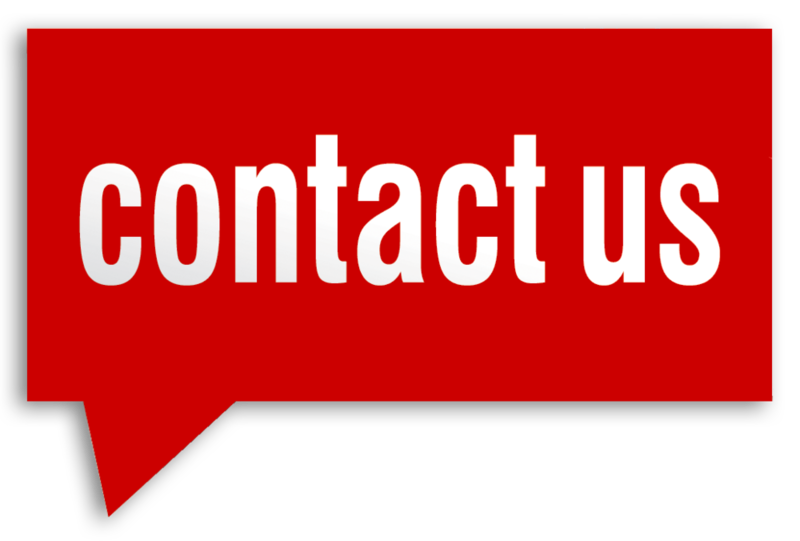 Each fan has a long life and is maintenance free. 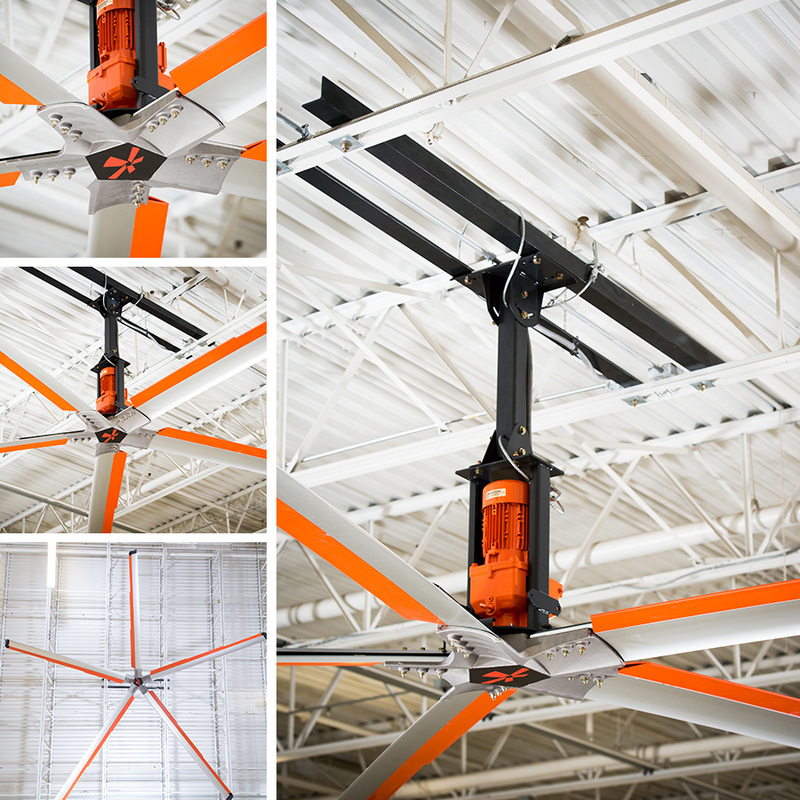 The TAZ Fan covers 5,000 square foot and move 80,000 cubic feet per minute. High Volume, Low Speed fans for expansive cooling. Z-tech fans use cutting edge technology to cool even the largest of spaces. These fans are quiet with low power consumption but still cover 30% more area than other HVLS Fans (High Velocity Low Speed). Better air circulation can reduce moisture issues and maintenance costs. Z-tech fans range from 8ft to 24ft to cover a wide range of spaces. 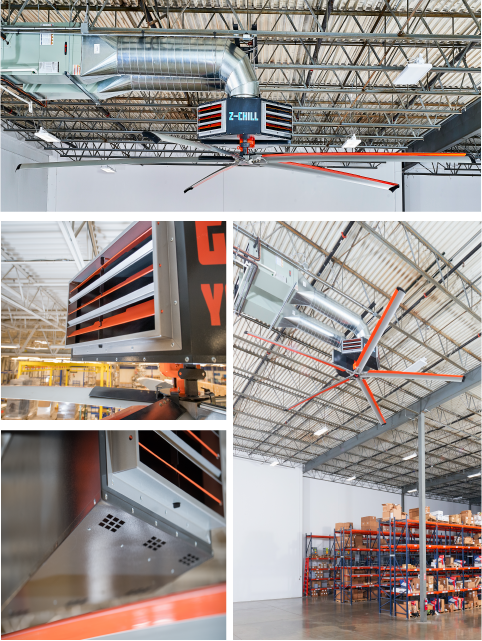 These fans are ideal for any building or space with drop ceilings. This LED light fixture has incorporated fans designed to make stuffy rooms more comfortable. 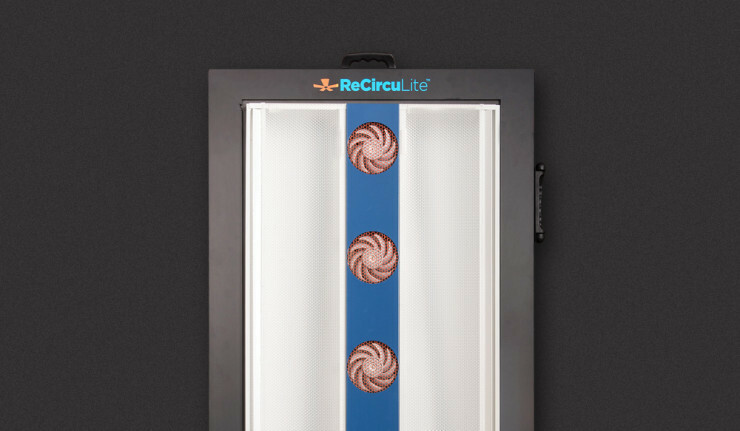 ReCircuLite improves air quality by helping to reduce condensation and moisture in the space. These fans are low energy, and don't require connection to an HVAC system. The Z-chill Fan system combines a chiller/diffuser with a Z-tech HVLA fan. Z-chill offers a cooling solution for large spaces that might otherwise be prohibitively expensive to cool. It is designed to evenly distribute both filtered and conditioned air through your space. This energy efficient and cost effective solution can help prevent heat stress in your employees and boost productivity.